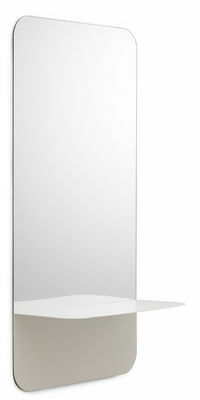 Horizon is a collection of wall mirrors in varying geometric shapes that all have a steel shelf integrated into the design. 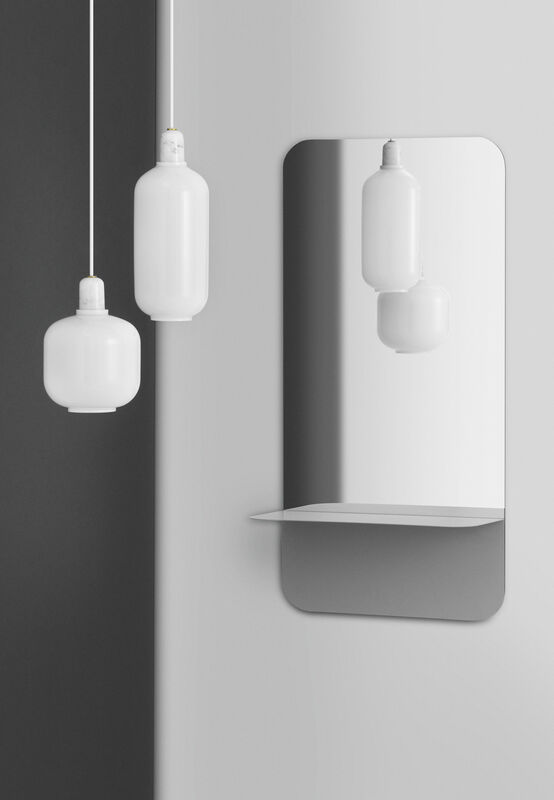 The shelf serves as a practical place to put things on, at the same time creating a beautiful visual effect. The Horizon wall mirrors are the perfect hybrid between functionality and aesthetics. 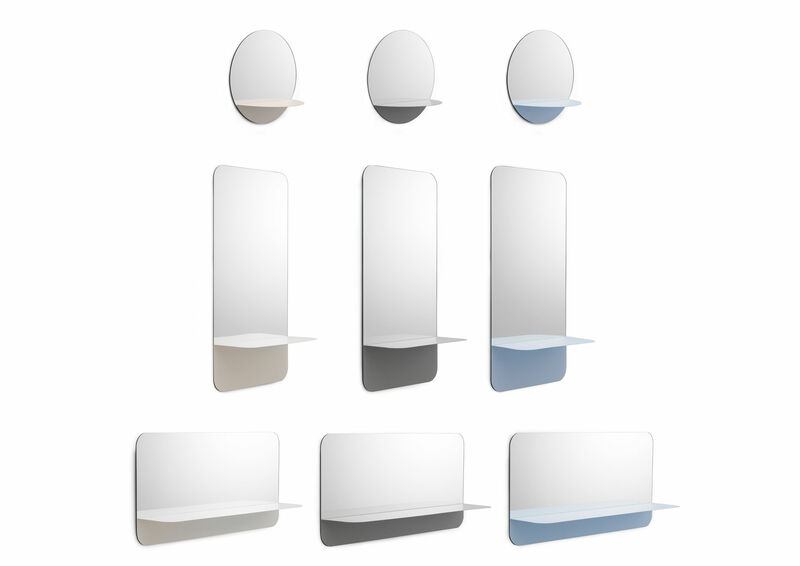 Horizon comes in three versions: a horizontal and a vertical mirror in the shape of rounded rectangles, plus a smaller circular one. 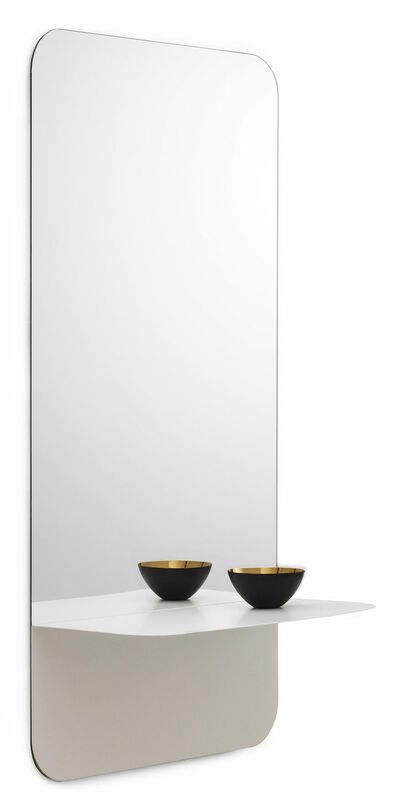 With a simple geometric design, the mirror variations create a poetic play on reflections.